Slice serranos & jalapeno's in half. Remove seeds from 1 jalapeno and 1 serrano, leave seeds in the other 2 peppers. Peel garlic cloves until all outer "shell" covering is gone and you are left with bare garlic cloves. Roast peppers. 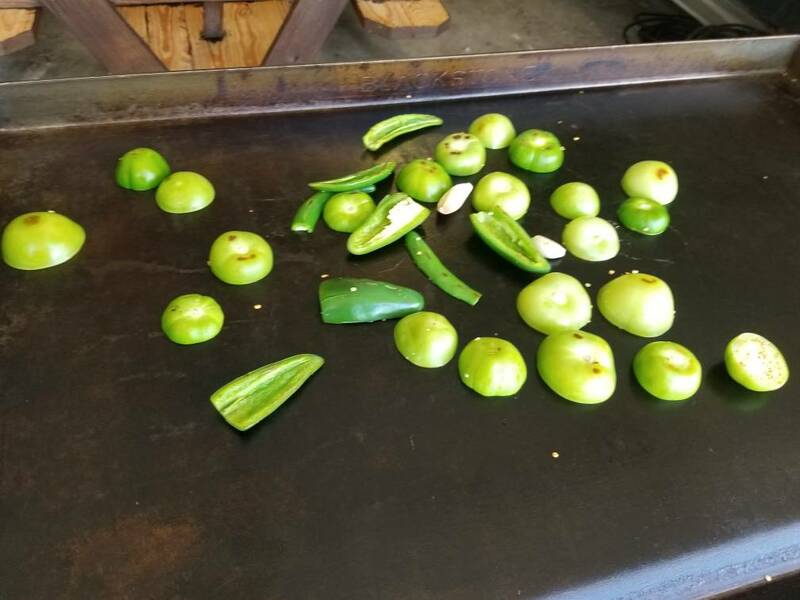 Garlic, tomatillo's until they just start to burn and about 1/2 the moisture is cooked out of them. 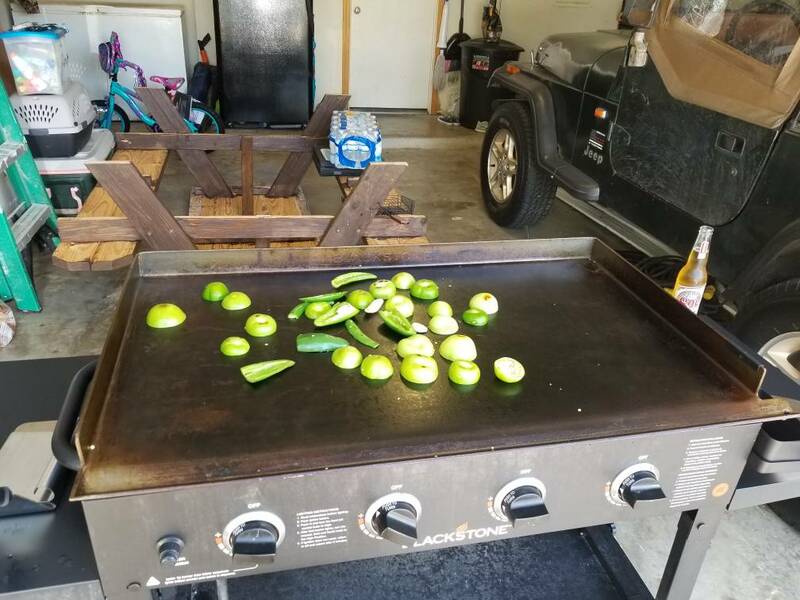 I use my Blackstone griddle but a grill, pit, smoker.....even an oven will work. Place all roasted ingredients into a blender and add 2-3 sprigs of fresh Cilantro and approx. 1 teaspoon each of sea salt, coarse ground black pepper, and ground cumin. Puree' until your desired consistency is reached. I literally just got back from lunch and this post makes me hungry!!!! I’m going to do this tomorrow. Thanks for posting. Home made smoke salsa is killer! I love making it and my family loves eating it! Dude. That was great. Too spicy for the girls so I was stuck eating most of the bowl. Good stuff! That looks good, I am going to try it. 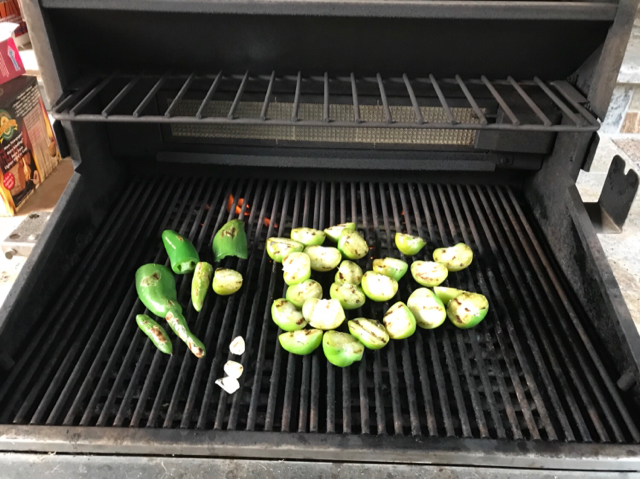 There was another roasted salsa recipe on here a while back I tried, and we just couldn't eat it. Not that it was bad , just not what we prefer. I've never tried the tomatillos though, so I will give a go. I have made this twice, excellent recipe. I cold smoked my tomatillos both times but when I blackened them with my torch I think it burned the flavor off. So the second time I cold smoked everything but the cilantro with mesquite for about 3.5 hours and then only blackened the jalapeños (I didn't have Serranos). 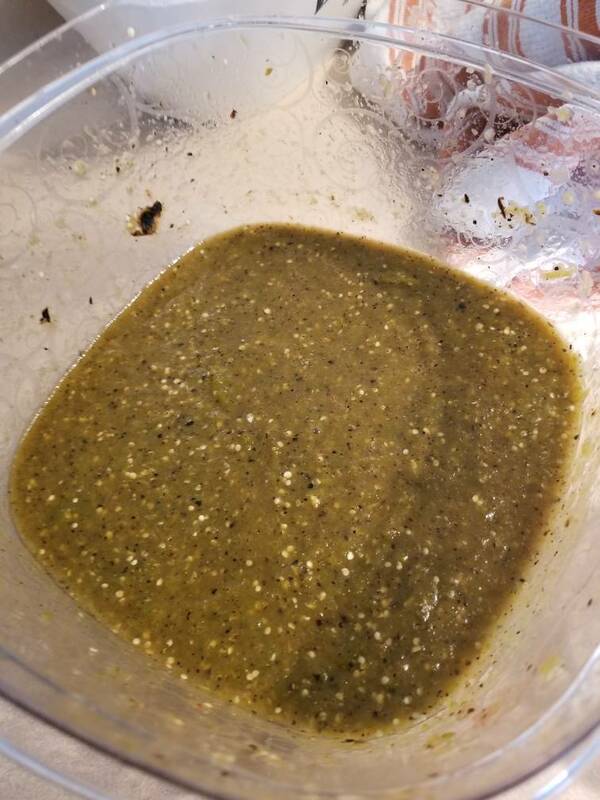 Easily the best hot sauce I've ever made and I typically do not like tomatillo flavor at all. Excellent recipe. I had to thin mine a LITTLE with water, but excellent. Also, it makes an an OUTSTANDING marinade for chicken. OUTSTANDING.